Listen to our interview with author David Blight. 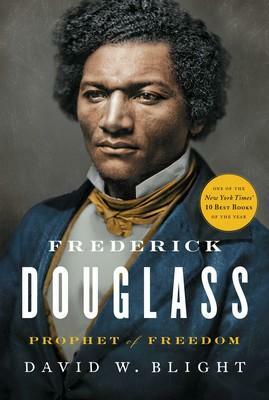 We speak with author David Blight, whose award-winning biography "Frederick Douglass: Prophet of Freedom" explores the life of one of the most consequential leaders of the 19th century. David Blight, professor of American history, director of the Gilder Lehrman Center for the Study of Slavery, Resistance, and Abolition, Yale University. Author or editor of a dozen books, including "American Oracle: The Civil War in the Civil Rights Era," "Race and Reunion: The Civil War in American Memory" and annotated editions of Douglass’s first two autobiographies. Blight has focused on Douglass for much of his professional life, and has been awarded the Bancroft Prize, the Abraham Lincoln Prize and the Frederick Douglass Prize, among others.